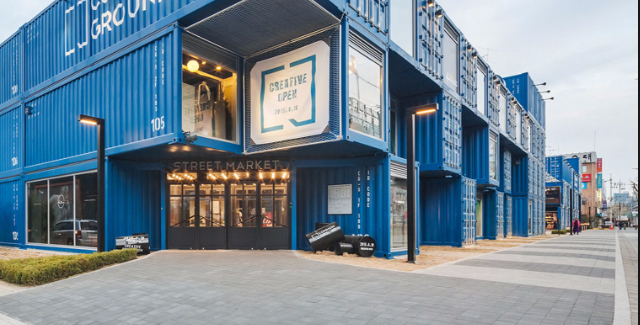 Did you know that the shipping container is made up of steel that is not only strong but meant to withstand heavy loads and harsh weather conditions? Millions of people around the world are now building their homes from shipping containers. Please know that we have written a lot of articles advocating for shipping container homes. We’ve done a lot of blogs about the shipping container. Today, we want to tackle a few of the many advantages of building a home using the shipping container. In fact, the shipping container can be used as the main material for building homes, apartments, garden homes, offices, and many more. Of course, if you want to use a shipping content as the foundation for your garage, you can seek the help of garage door specialists. You can even ask them to build you a contemporary garage door in Tampa that can help secure your tiny home from burglary. The shipping container is a fantastic main building material, and when you use it in a proper way, you will notice several advantages over the traditional construction materials and methods. designed to carry valuable cargo through extreme weather? While at sea, shipping containers can be subjected to a hundred mile an hour winds and huge waves. You can search on youtube the video that many people uploaded showing how the shipping container can get rocked side to side by a huge storm, yet it still remains intact. The durability and toughness of the shipping container are generally considered as guidelines when they are turned into homes. 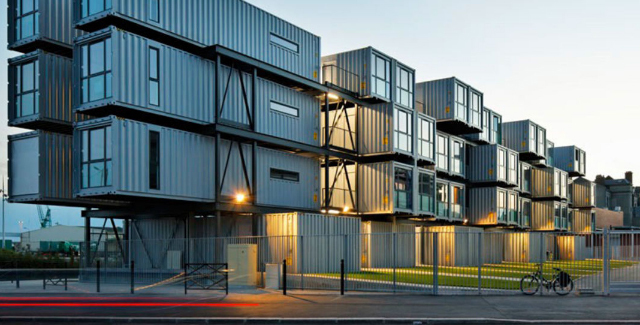 This means that shipping containers are strong enough to be used not only for homes, it can turn into buildings especially when compared to eco-friendly building materials such as recycled plastic bottles. To maintain the durability of the shipping container, you must remember that removing a steel to make a window, door or doorway may affect the durability and toughness of it. So in order to maintain it, you may add steel beams to carry the load that was held by the removed metal so you must be aware of that. Of course, you need to ensure the regular maintenance of your shipping containers to prevent them from rusting. The flexibility of the shipping container is a huge advantage to building a home. You can convert them off-site, as we discussed in our article here. If you are going to live in a remote area, building on-site comes with numerous challenges. You may have a hard time finding a contractor, it may be expensive to travel, shipping your materials and supplies will be very pricey, plus, the availability of electrical power and water necessary for construction can be difficult and limited. 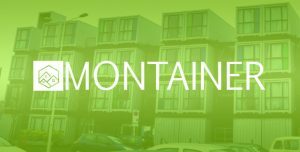 Montainer has a suggestion to make, you can convert your shipping containers in an urban area and then once your home is complete, you can immediately transport your finished tiny home to your preferred land. Please look forward to our next blog to know more about this.